Hey guys, <br/> <br/>Close call... Sonya Blade and Liu Kang would be tied (:-O!) if I did not cast my vote and break the tie! So, sorry Liu fans, perhaps he will take home another title; because this one is going to: <br/> <br/>========================================== <br/> <br/><font color=gold><center><b><font size=+3>1st Place</center></b></font></font> <br/><center><b><font size=+1>Sonya Blade</center></b></font> <br/> <br/><center><img Src="http://www.mortalkombatonline.com/content/games/mk3/sonya/bio.gif"></center> <br/> <br/><font color=gold><b><i>Three heroes may have been chosen to represent Earth in Mortal Kombat, but only one can be selected as the Best Original Hero; and it should come as no surprise to most MK Fans that this title falls into the gloves of Liutenant Sonya Blade! <br/> <br/>Sonya is one of the few characters who have the gift of breathing life into Mortal Kombat through her uniqueness in every aspect that makes a great character. She stands out in more ways than can be mentioned, having made a name for herself and having become a true icon of the gaming series through her continuous appearences in the intallments (to many fans' happiness). She has stood from MK: 1 all the way through MK: A as a powerful force for our planet against foreign and native threats, making her not only the Best Original Hero, but one of, if not the, Best Hero of the Mortal Kombat Legacy!</b> <br/> <br/><center><img Src="http://mkw.mortalkombatonline.com/mk3/sonya/bio/end1.gif"></center> <br/> <br/><b>Sonya Blade has bragging rights to the most recognizable moves in MK, as well as the most complex personality given to a character. Who can forget the elegant-yet-lethal Leg Grab, the Energy Rings, or even the recent Kiss of Death? Sonya has made good use of her imcomparable powers to defeat her enemies and come out on top against her foes, making sure that no one ever denies her incessant stamina and strength! <br/> <br/>But part of what makes Sonya the Best Original Hero is her character in itself. She's tough... she's determined... she's dynamic and she's benevolent, yet struggles against the negative parts of her persona that make her such an intriguing character to analyze. Her willingness to fight is almost overshadowed at times by her unwillingness to trust and her fear of losing her friends and those around her. A character with such diverse layers is tough to come by, and allows Sonya to be one of the "faces" of MK as this generation comes to a close. </b> <br/> <br/><center><img Src="http://content.answers.com/main/content/wp/en/thumb/0/07/225px-SonyaMKSM.jpg"></center> <br/> <br/><b>Many would say Mortal Kombat isn't the same without Ms. Blade, and they would be more than right to say so. Our liutenant has achieved so much since MK: 1 and has become such a household name to any true MK Fan that her absence would definitely shake everyone up. It is this thought that assures the endless Sonya fans out there that as long as Mortal Kombat exists, her time will never be up. <br/> <br/>... Besides, MK8 needs a tough-as-nail blond landing combat boots to next-gen asses. What kind of MK Game would NOT have that?</b></font></font></i> <br/> <br/>========================================== <br/> <br/>Expect the new title and its candidates to be announced either later tonight or tomorrow, with voting going on until Friday as usual! Once again, thanks everyone for voting and helping the Best Original Hero to be decided! Three heroes may have been chosen to represent Earth in Mortal Kombat, but only one can be selected as the Best Original Hero; and it should come as no surprise to most MK Fans that this title falls into the gloves of Liutenant Sonya Blade! Sonya is one of the few characters who have the gift of breathing life into Mortal Kombat through her uniqueness in every aspect that makes a great character. She stands out in more ways than can be mentioned, having made a name for herself and having become a true icon of the gaming series through her continuous appearences in the intallments (to many fans' happiness). She has stood from MK: 1 all the way through MK: A as a powerful force for our planet against foreign and native threats, making her not only the Best Original Hero, but one of, if not the, Best Hero of the Mortal Kombat Legacy! 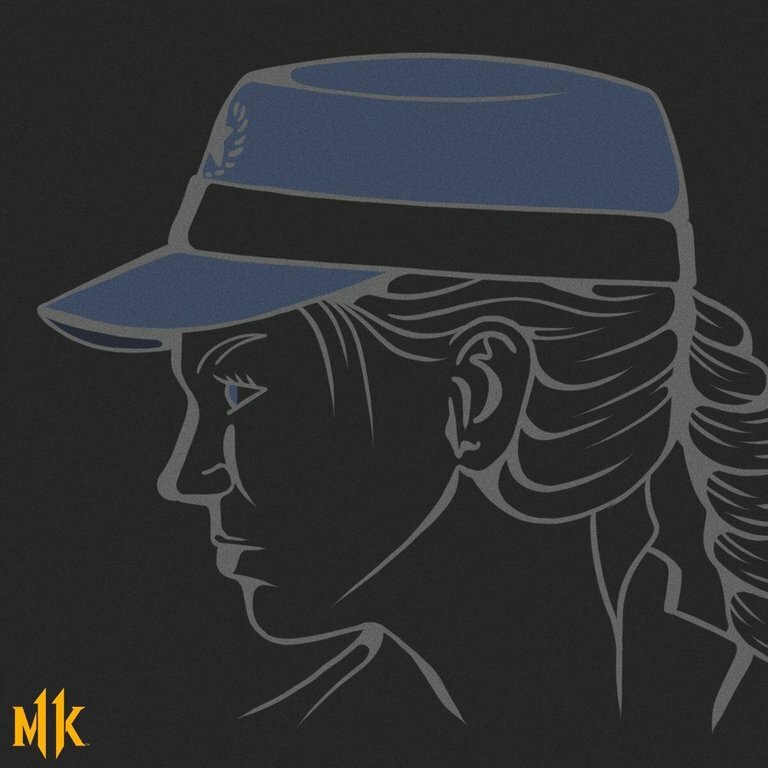 Sonya Blade has bragging rights to the most recognizable moves in MK, as well as the most complex personality given to a character. Who can forget the elegant-yet-lethal Leg Grab, the Energy Rings, or even the recent Kiss of Death? Sonya has made good use of her imcomparable powers to defeat her enemies and come out on top against her foes, making sure that no one ever denies her incessant stamina and strength! But part of what makes Sonya the Best Original Hero is her character in itself. She's tough... she's determined... she's dynamic and she's benevolent, yet struggles against the negative parts of her persona that make her such an intriguing character to analyze. Her willingness to fight is almost overshadowed at times by her unwillingness to trust and her fear of losing her friends and those around her. A character with such diverse layers is tough to come by, and allows Sonya to be one of the "faces" of MK as this generation comes to a close. Many would say Mortal Kombat isn't the same without Ms. Blade, and they would be more than right to say so. Our liutenant has achieved so much since MK: 1 and has become such a household name to any true MK Fan that her absence would definitely shake everyone up. It is this thought that assures the endless Sonya fans out there that as long as Mortal Kombat exists, her time will never be up. ... Besides, MK8 needs a tough-as-nail blond landing combat boots to next-gen asses. What kind of MK Game would NOT have that? Expect the new title and its candidates to be announced either later tonight or tomorrow, with voting going on until Friday as usual! Once again, thanks everyone for voting and helping the Best Original Hero to be decided! Vote goes until Friday for the crowning of the superior god! <div class="forumQuote"><b>ThePredator151 Wrote:</b> <br/>Liu Kang = Bruce Lee <br/>Jonny Cage = Van Damme <br/>Sonya = ?? (although do remember one women martial artist who beared a striking resemblance to Sonya, I can't remember her name or what movie she was in. )</div> <br/>Probably Cynthia Rothrock. <br/> <br/> <br/>As for the current thing...I'll vote Raiden. <br/>Though I do like Shinnok and Fujin. As for the current thing...I'll vote Raiden. Though I do like Shinnok and Fujin. Now for this thing, you can probably guess that my vote is for Raiden. From the ground up he's the most "Supreme" of these guys....even in his current state-of mind. Hey guys - I'm gonna have to extend voting for "Supreme Deity" to this Friday, due to lack of time to give the winner the proper attention and to get the next batch of candidates set-up! <br/> <br/>And with that, I'd like to leave my vote for the Thunder God <b>Raiden</b>! Hey guys - I'm gonna have to extend voting for "Supreme Deity" to this Friday, due to lack of time to give the winner the proper attention and to get the next batch of candidates set-up! And with that, I'd like to leave my vote for the Thunder God Raiden!